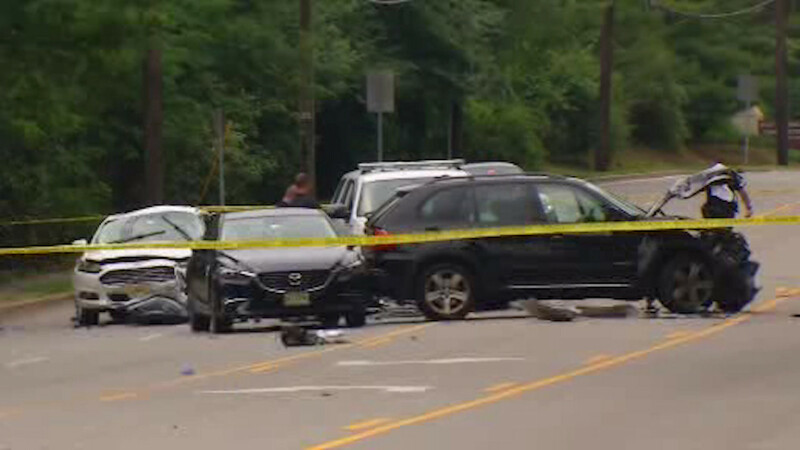 WEST CALDWELL, New Jersey (WABC) -- One woman was killed and two others were injured, including a police officer, in a five-car crash in New Jersey. The crash happened at around 8:30 a.m. near Passaic and Fairfield Avenues in West Caldwell. A vehicle ran into a group of other cars that were stopped at a traffic light. 33-year-old Maria Tauro of Caldwell was rushed to St. Joseph's Regional Medical Center in Paterson where she was pronounced dead. A West Caldwell police officer suffered non-life threatening injuries but was taken to Chilton Hospital in Pompton Plains for evaluation. The driver of the vehicle that caused the crash, according to police, sustained back and neck injuries. No charges have been filed against him at this time. The crash is being investigated by the West Caldwell Police Department and the Essex County Prosecutor's Office Crash and Fire Investigations Unit and the Homicide/Major Crimes Task Force.